How to Raise a Voracious Reader: Promoting literacy with dinnertime storytelling, family conversation, and books about food. As we gather around the family table for festive holiday banquets or low-key daily suppers, we’re nourishing our minds as much as our bodies, says Anne Fishel, cofounder of the Family Dinner Project, housed under the Project Zero umbrella at the Harvard Graduate School of Education. In fact, regular family dinner may be a more powerful vocabulary-builder for young kids than reading. 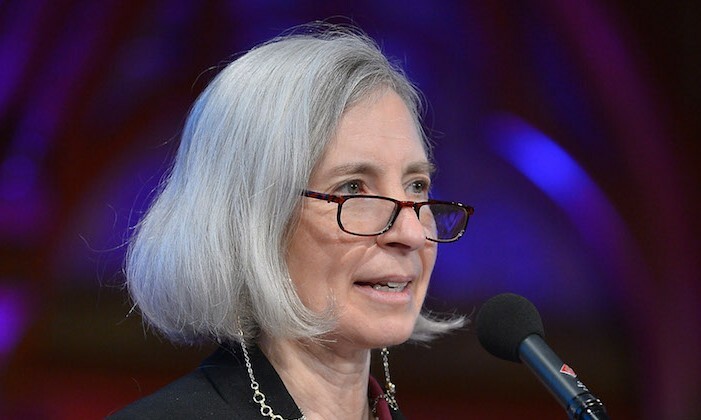 A large body of research — much of which arises from the pioneering literacy work of HGSE Professor Catherine Snow — has shown that rare or sophisticated words are the building blocks of a robust vocabulary in children. And it turns out that rare words — those that don’t appear on an age-defined list of 3,000 common words — show up more often at the dinner table than they do in the picture books we read to our children, says Fishel, an associate clinical professor of psychology at Harvard Medical School. The benefits of family dinner — or shared meals of any kind — don’t stop at literacy growth. Recent studies have suggested that the practice confers all manner of mental and emotional benefits for kids: less depression and anxiety, lower rates of stress, and lower rates of substance abuse and teenage pregnancy, among others. In her clinical practice — she’s the director of the Family and Couples Therapy Program at Massachusetts General Hospital — Fishel often asks clients about their own experiences and memories of family dinner, finding it a productive way to probe family connections. Usable Knowledge asked Fishel to talk about how to make family dinner more feasible, satisfying, and brain-building. For many families, a shared meal at dinner is hard to pull off. What are the barriers, and how do you work with families to overcome them? The first thing is busy schedules — for both the kids and parents. And here’s where I’ll try to push back against the dominant culture. I’ll ask parents why they think it’s important for kids to be in 10 different afterschool activities — why time with their families is somehow less important than music lessons and traveling soccer and a third language. If I don’t get traction with that approach, I’ll often say to families that if dinner isn’t possible, then how about breakfast? Or how about planning a late-night snack, where everyone takes a break from homework and comes together for hot chocolate and apples and some meaningful conversation? Or a brunch on Saturday? The idea is, Let’s start with what you can do. Maybe it will have a domino effect. Maybe the experience itself will make you want to do more of it. What are some of the other barriers to a regular family dinner? Another barrier is that parents are just really tired. If you’re working full time and you come home and you don’t have any help making dinner, and you have children or a partner who are critical of what you make and who want four different meals — who wants that? For those kinds of barriers, I think out loud with people about shortcuts — making double batches of food, so you can defrost things during the following week, or making breakfast for dinner, which can be a lot easier. And we also talk about not letting the burden fall on one person. There’s a lot of work in getting dinner on the table – not just the cooking, but the planning, the shopping, the cleaning up. Others in the family can help with that, if possible. Finally, we think about taking the emphasis off the food and putting it onto the conversation, the relationships, and the fun. Food brings us to the table, but it’s everything else that keeps us wanting to stay there. All the benefits from the scientific literature about family dinner have nothing to do with heirloom tomatoes or gourmet meals. They’re all based on the connection at the table, not the food. The benefits come from making a warm and welcoming and fun atmosphere at the dinner table. At the Family Dinner Project, you encourage kids and parents to draw explicit connections between dinner and reading. How? We encourage families to have fun by making a literary meal. There are so many children’s books and nursery rhymes that feature food as a central player in the action. Kids and parents can recreate one of those literary morsels and then read the book, or part of it, aloud over dinner. Split pea soup from George and Martha or spaghetti and meatballs from Cloudy with a Chance of Meatballs are two of many examples. Or get more creative — imagine what Harry Potter’s meals at Hogwarts are like and try to make an end-of-year feast. What are the connections you’ve made between books and food in your own life? I love the subgenre of memoirs about food, so I’ve loved Comfort Me with Apples, by Ruth Reichl, and Home Cooking and More Home Cooking by Laurie Colwin — collections of very homey essays about dinner and cooking. I’ve also loved Yes Chef by Marcus Samuelsson and Blood, Bones, and Butter by Gabrielle Hamilton. And I love the food scenes in Nora Ephron’s Heartburn; she’s a great food writer. My very first food-related book, which I found again about a year ago, was called Mud Pies and Other Recipes. It’s a very fanciful book about cooking for dolls. It totally delighted me as a five-year-old. And I remember wishing I could taste that Turkish delight from the Lion, the Witch, and the Wardrobe, and resonating with the picky eaters in Green Eggs and Ham. The Family Dinner Project has a free online program that offers a four-week path to better family dinners. What do you hear from people who complete it? One thing we consistently hear is that although most families go in with a goal of eating more healthy and nutritious foods, what they find at the end is that the biggest improvement is that they’re having more fun and conversation. And I love that. I think all the cooking shows are making us feel as if that’s where we need to focus our conversation. I love to cook, but I think you could hate to cook and still love family dinner. Age-appropriate conversation starters from the Family Dinner Project. Age-appropriate dinner games to stimulate minds and strengthen family bonds.